April Utech hits a three-run home run in the seventh inning to give Oregon an 8-4 lead over LSU in the St. Pete/Clearwater Elite Invitational. 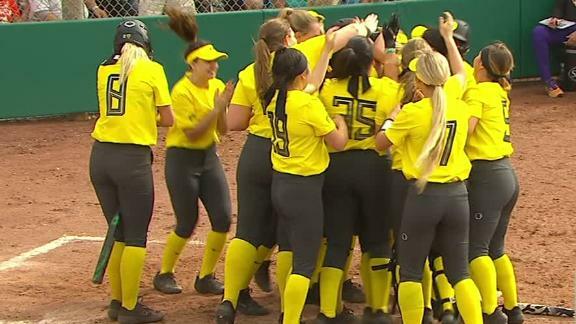 CLEARWATER, Fla. -- With the bases loaded and no outs, Oregon's Jordan Dail stood in the circle with her hand on her hip as she prepared to throw a momentous pitch. She'd just hit two LSU batters and walked another to load the bases. Oregon's three-run lead in the bottom of the fourth inning suddenly felt precarious. She threw the ball toward the plate. 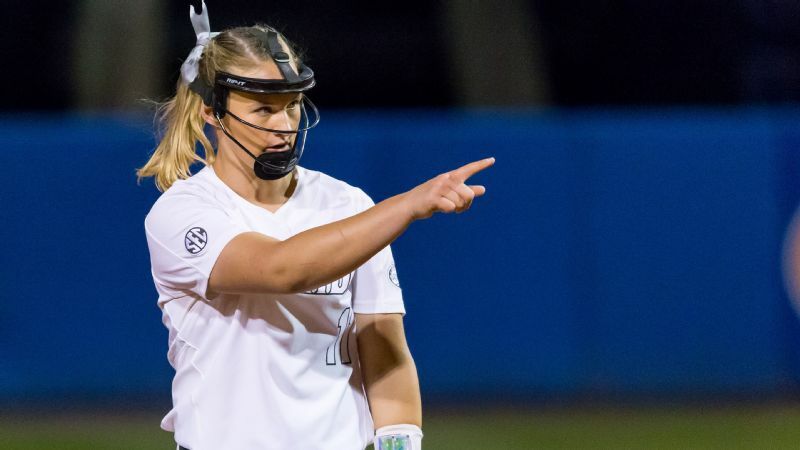 LSU senior Amber Serrett connected, but sent the ball foul and into an Oregon glove. One out. Then Dail struck out Michaela Schlattman swinging. Two outs. Next, she got Claire Weinberger to fly out. Crisis averted. Much of Dail's day was a balancing act between crisis and brilliance. She pitched all seven innings of No. 22 Oregon's 8-5 victory over No. 7 LSU on Day 2 of the inaugural St. Pete/Clearwater Elite Invitational. Dail gave up four hits and two earned runs. She also hit four batters and walked six others. "I didn't feel like I was at my personal best," Dail said. "So I had to fight a little harder to make things work. But my team had my back the whole time, so it worked out for us in the end." 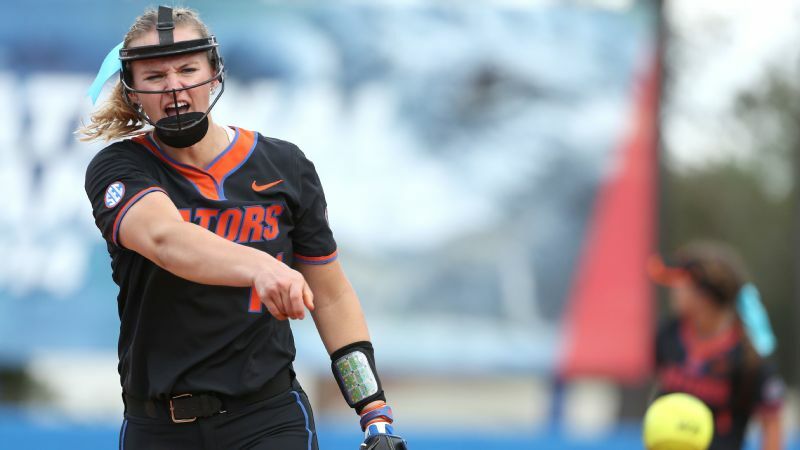 Jordan Dail, who went against the offseason traffic, is 4-0 after her Friday win over LSU. When it mattered, Dail got the job done. And so did the Ducks. It was a win -- in a string of early wins --- that few saw coming after an offseason of turmoil. First, coach Mike White left Oregon for a pay hike at Texas. Then the Ducks lost nine transfers -- four of whom followed White to the Longhorns. All the talk in Eugene and beyond was about what had gone wrong under new coach Melyssa Lombardi before the season even started. Even though the Ducks dropped their next game (and first of the season) 9-1 to No. 25 James Madison, they have still proven many of their doubters wrong with their strong start. With 10 freshmen on the roster, Oregon is 6-1. 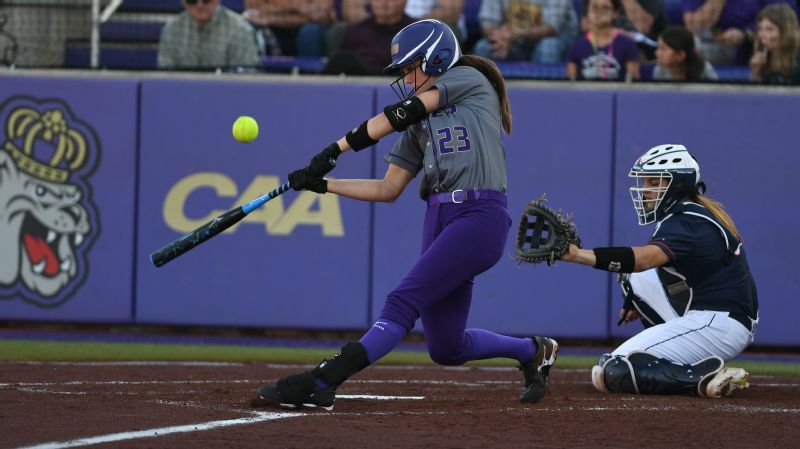 The lack of pitching depth -- walk-on Kailey Krueger gave up four runs after relieving Maddie MacGrandle, who gave up five -- was exposed against JMU, which rolled as redshirt senior Megan Good commanded the circle. Good threw all six innings for the Dukes, striking out eight batters and giving up four hits and only one late run. When at full strength, however, as Oregon showed against LSU, the Ducks can't be counted out. Especially with Dail in the circle. "Jordan's a tough competitor," Lombardi said. "Any time you compete, even if it's not your best, you can always find a way to get it done, and I think she did a good job with that." It wasn't all Dail though. The Oregon bats came through against LSU in a big way. April Utecht knocked in four runs with two hits, including a three-run homer that extended Oregon's lead in the seventh. Shortstop Jasmine Sievers also contributed two RBIs on two hits. Each time LSU got close, the Oregon offense answered. After the game, Lombardi huddled with her team just off the field. She spoke with a controlled praise, her calm demeanor wafting through the team. Other than the initial outburst of excitement over the win, the Ducks stayed within themselves. While most people might not have expected Oregon to be here, the team and its coaching staff are not nearly as surprised. Oregon has been waiting for the opportunity to prove the doubters wrong. Lombardi stopped for every person who reached out to her. She cordially said hello to a man decked out in Sooners gear who waited outside her team huddle just to wish her well. She took a picture with a teenager whose father told Lombardi that his daughter missed her. She was embraced by another. "We're all rooting for you," the woman said as she squeezed Lombardi's shoulders. 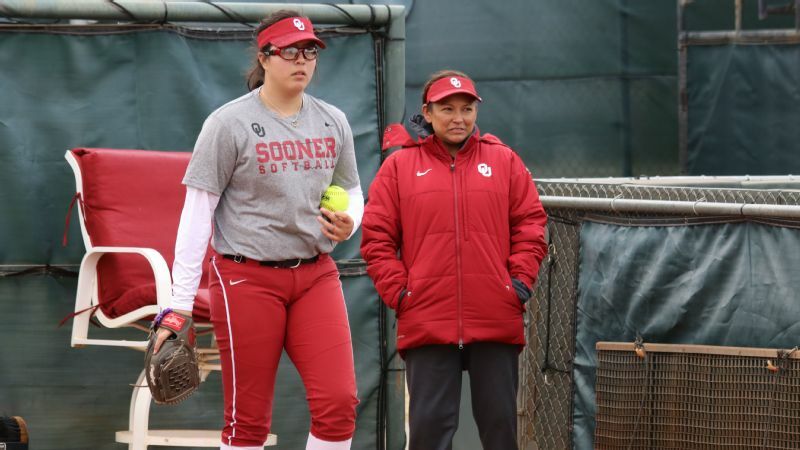 Lombardi was hired in July after 21 seasons under Patty Gasso at Oklahoma. She took over a Ducks program that had been the No. 1 seed in Oklahoma City the year before. 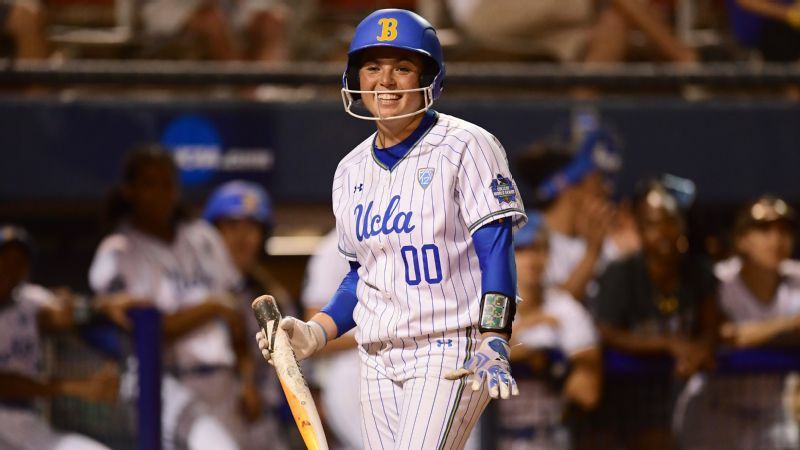 But the fall saw transfer after transfer, including reigning Pac-12 pitcher of the year Megan Kleist and second team All-American pitcher Miranda Elish. 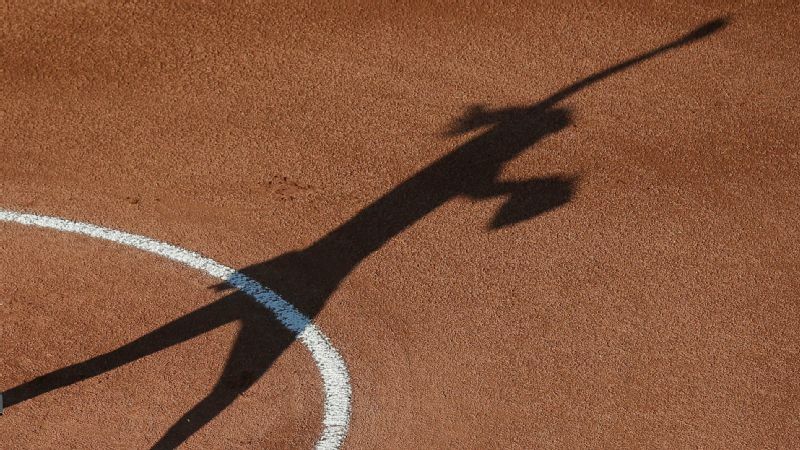 Also gone before Lombardi filled out her first lineup card for the 2019 season were Maggie Balint, Alexis Mack, Mia Camuso, Shannon Rhodes, Lauren Burke, Mary Iakopo and Alyssa Pinto. 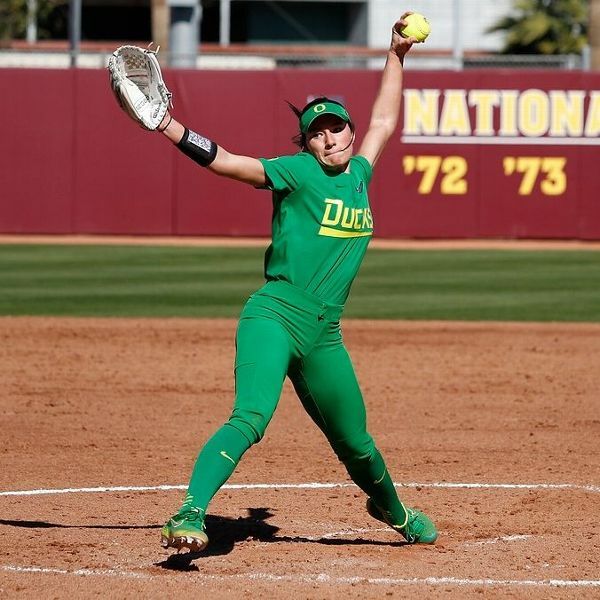 The absence of so many players opened the door for a player like Dail, who went against the grain and transferred to Oregon while the heart of the Ducks roster was exiting. With the absence of Kleist and Elish, the former Virginia Tech pitcher is being asked to carry a heavy load for Oregon. "You have to take advantage of your opportunities, and you have to be your own person," Dail said. "We definitely lost two very good pitchers, and it's hard to replace either of them. But at the end of the day, I don't want to replace them, I want to make my own name. " The Ducks have their team now. They've opened the season 6-1, knocked off a highly ranked opponent, and are focused. It's no longer about the noise, just what's next on the field. "These guys have been fighting together since day one," Lombardi said. 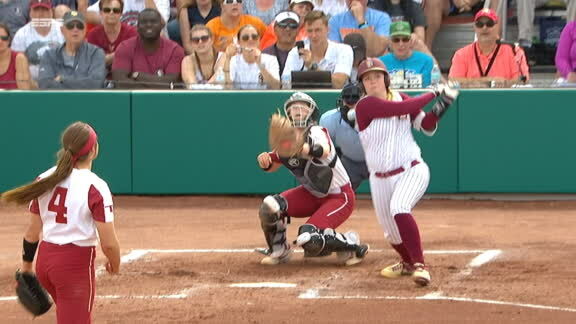 Cassidy Davis belts her first home run of the season to pad FSU's lead against Oklahoma. In other action: No. 2 Florida State beat No. 3 Oklahoma 7-4 in a game that featured the last three national champions. The reigning champion Seminoles improved to 7-0 and handed the Sooners their first loss of the season. 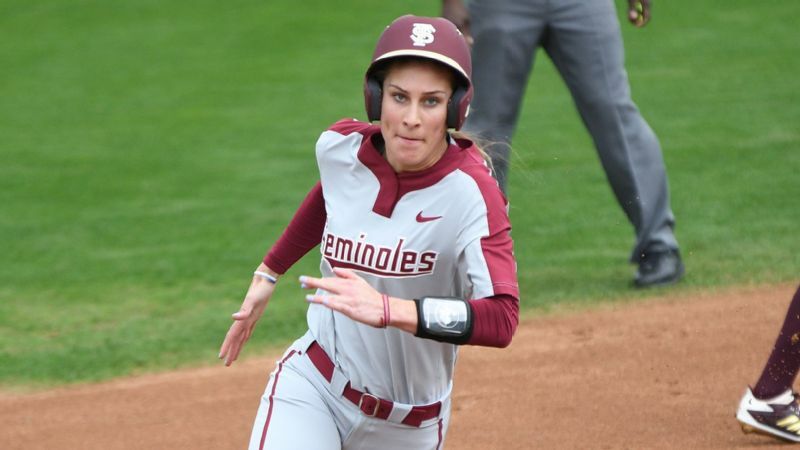 The game featured six home runs, including five from five different Florida State players. Catch the replay if you can. It will not disappoint. Tennessee (7-0) stayed perfect with wins over Notre Dame and Minnesota on Friday. 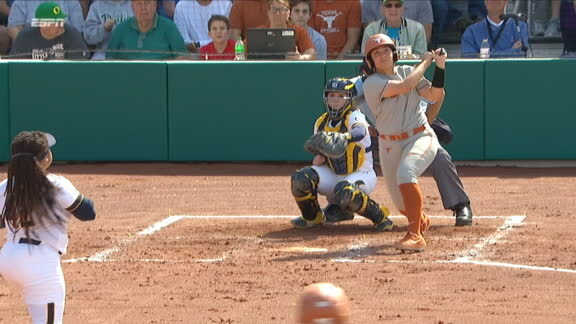 ... Texas (6-1) suffered its first loss of the season, falling to LSU 7-1.